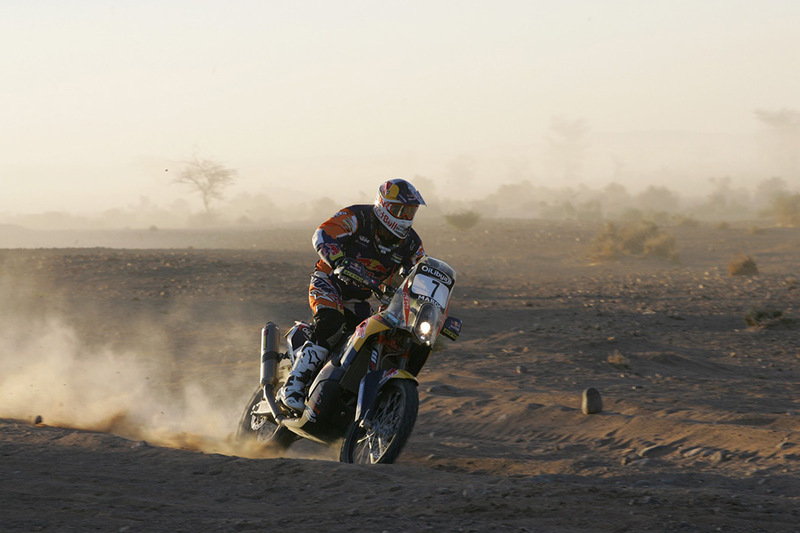 Red Bull KTM factory rider Marc Coma came home in fifth place after the three hour ride in the dunes of Mhamid in Stage Three of the OilLibya Rally of Morocco on Wednesday to maintain his third overall position at the half way mark of the rally. 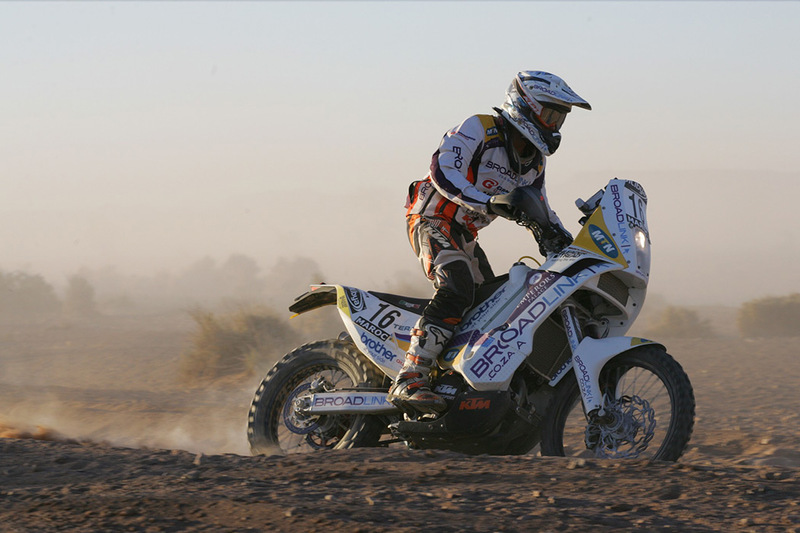 While factory teammate Chaleco Lopez of Chile finished second in Stage Three, Coma was fifth, just over six minutes behind leader and fellow Spaniard Joan Barreda. 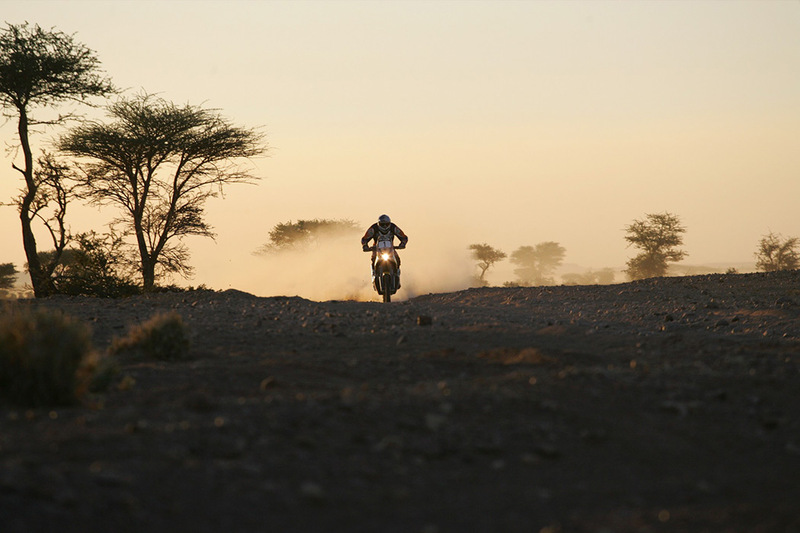 KTM’s three-times Dakar Rally winner currently has a deficit of around seven minutes in the overall progressive standings behind the leader Barreda and Portuguese rival Paolo Goncalves. It was a disappointing day for Coma’s teammate Ruben Faria who after a decision made jointly by the rider and the team, withdrew from the competition. Faria broke his hand in a crash in the Dos Sertoes Rally in Brazil in August and is still experiencing pain from the injury. 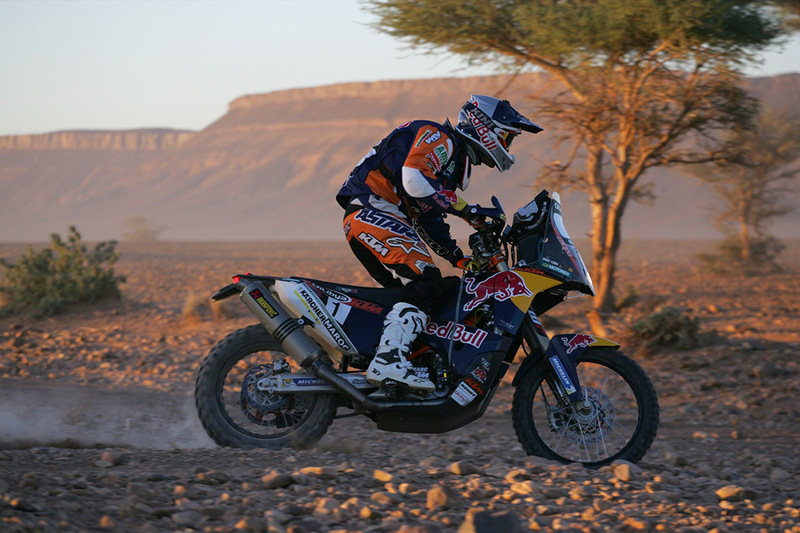 Teammate Kurt Caselli fared better finishing tenth in Stage Three and is currently twelfth overall after picking up a 20 minute penalty on the opening day. KTM support rider Ben Grabham, riding for KTM Australia was twelfth on Wednesday and continues to maintain a strong overall ninth. 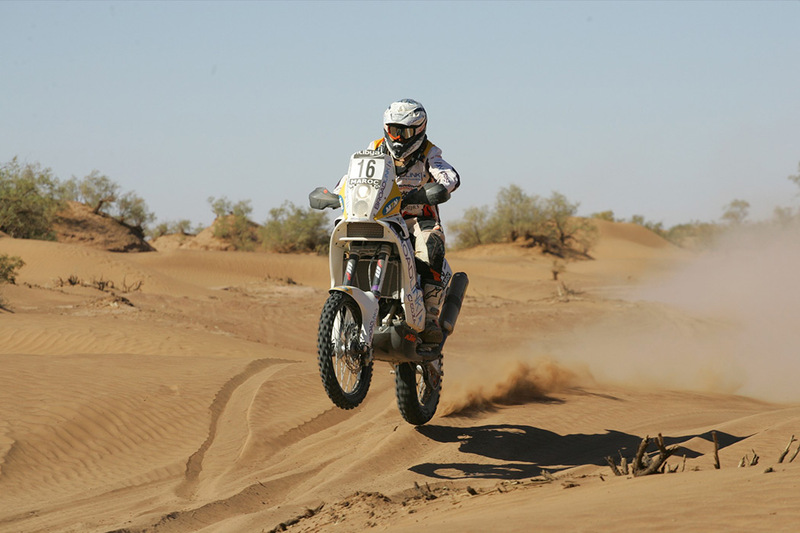 Riaan van Niekerk, KTM factory rider from South Africa moved up one place in the overall standings to fifteenth place after Stage Three. 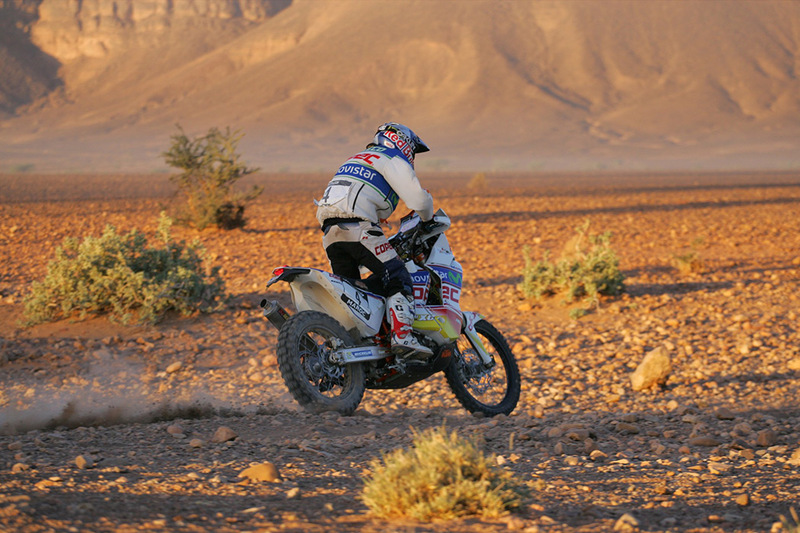 Wednesday’s stage included a 250km selective sector between two liaisons of 65 and 98 km. Riders started out on a fast rolling track before descending into a valley to follow the Cheggaga sand plains as far a the flat areas around Lake Iriki. The return trip posed tricky navigation through spectacular dune landscape. The rally is also the final round of the World Cross Countries Rallies Championship and Coma is the current points leader but has only a narrow three-point lead over Goncalves for the 2013 world title. 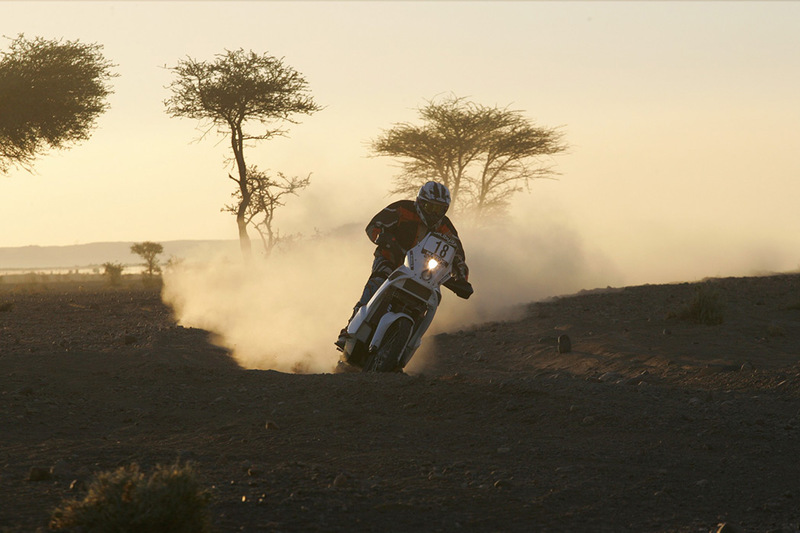 The KTM Factory Team are also testing and fine tuning the new KTM 450 Rally factory bike, making its first competitive appearance in Morocco and making the final preparations for the 2014 Dakar Rally in January. Stage Four presents a longer 295 km selective sector in between two shorter liaisons of 49 and 17km respectively. Riders can expect plenty of navigation in a sea of sand and an ascent to Erfoud, just the kind of territory that Coma names as his favorite.